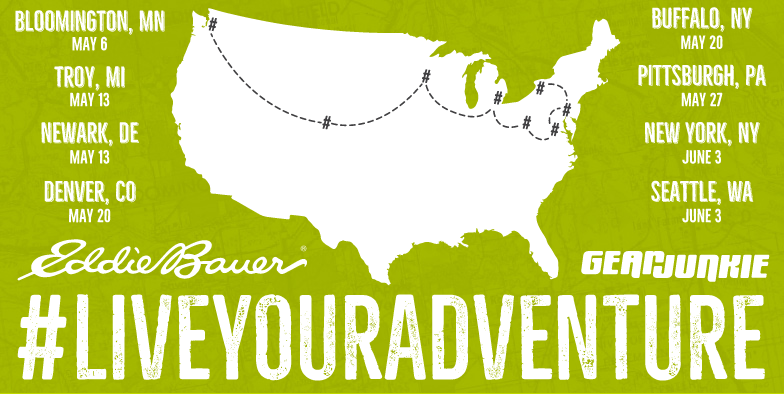 GearJunkie will soon embark on Part II of the ‘Live Your Local Adventure’ Tour with Eddie Bauer. This year, you can join us on adventures across the nation. We’re hitting the road this May to explore, play, and connect personally with outdoor communities across the U.S. The 2017 ‘Live Your Local Adventure’ Tour will visit eight U.S. cities from May-June, where we’ll meet readers, find local beta, and lead groups on urban and local endeavors. Last year’s tour was a huge success, with more than 250 people joining us at six incredible events. In each city, GearJunkie will lead a 1-1.5 hour adventure in the area, from trail running to paddling, hiking, and more. Post-adventure, we’ll head to a local Eddie Bauer store where free food, drinks (read: beer! ), and gear giveaways will be aplenty. Stick around for local adventure tips, from things to do, groups to join, and events to attend… all in your area. What Constitutes A Local Adventure? Local adventures capitalize on those things that make a city or region unique. 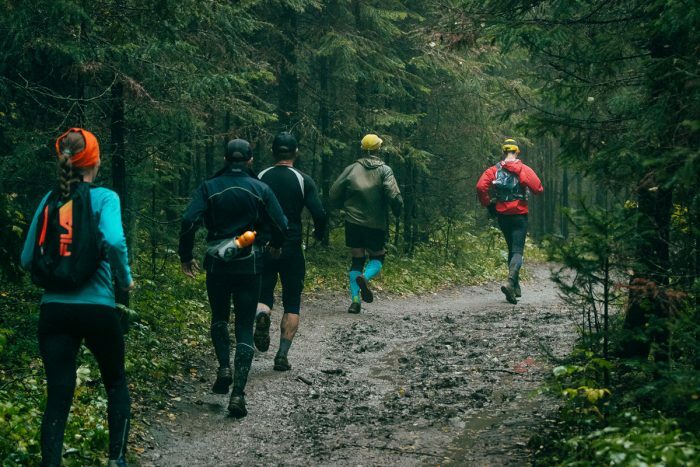 For example you can climb just outside downtown Seattle, rip hidden singletrack along a golf course in Minneapolis, or trail run just minutes from Denver. The locals know where, and how, to get the most from their hometowns. 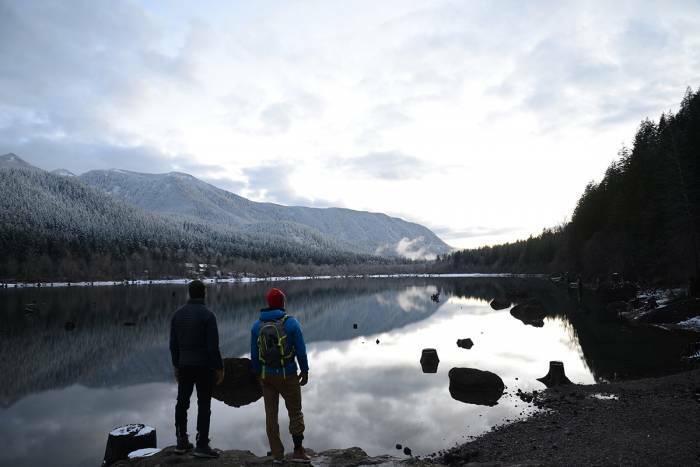 This project will inspire outdoor enthusiasts to get creative where they live and spend time adventuring locally. Plus, we’ll introduce local adventure groups and events, providing more opportunities to explore through the summer. Our plan is to tap into local influencer knowledge (i.e. rock climbing gyms, bike shops, Eddie Bauer stores, etc.) and get the scoop on nearby adventure secrets. We will pack in the fun on as many unique runs, climbs, and outdoor activities as possible. Come join us for a wild run, bike ride, or … who knows? Each city, with its unique opportunities, will feature a different adventure. After burning some calories with us, grab a beer and some grub at the local Eddie Bauer store and stay for a chance to win free gear. Not a problem. Post photos of your local adventure with #LiveYourAdventure to join the community and conversation of local adventurers across the world. Upload a photo with #LiveYourAdventure and #GearJunkieLife to enter our online raffle where we’ll give away premium Eddie Bauer gear for five weeks straight. More details about the contest can be found here. 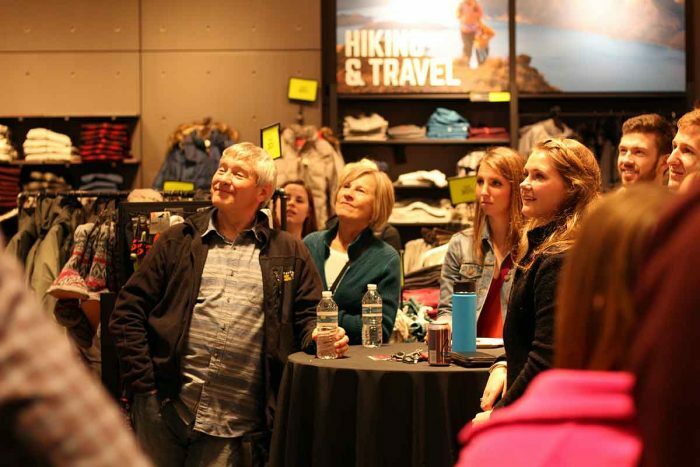 The first stop on the Live Your Local Adventure Tour is May 6th in Minneapolis, Minn. Come on an adventure with us and join the happy hour to learn about and experience new local adventures! — More details about the specific adventures can be found on the individual Facebook event pages, click the links in the ‘Tour Location And Dates’ section above.